Most recommend easy running after returning from a running hiatus. Meanwhile, after 2 weeks off, I come back to running with an impromptu quick mod-effort run to coffee carrying a 10 pound backpack, then run to the track this afternoon and run an 800 meter time trial at full effort. Let’s just say I was chomping at the bit to get back to running. The coughing fit that preceded my cooldown run back home wasn’t the product of anything other than dusty air, but it did at least get me to slow down and relax on a run for once today. Of course, during the two weeks off, I still did some running. It was just in brief, incidental bursts. Running across a street, chasing after a bus, etc. I even ran a little bit on my birthday while going to the store to get ice cream. I was fine to run a few days after the marathon. I just made sure not to get in any formal running over a mile during the two weeks because that was my plan from the start. So there’s not much of a need to ease back into running, other than to take it easy on the volume for a couple weeks until I’m back to what I’m used to. Still, why run an 800 meter time trial? Why not a mile time trial instead? Trick question on that last one. I am going to run a mile time trial later this week. I’m running both. AND I’m running a 400 meter time trial this next weekend. I decided to get a more comprehensive idea of my overall speed. Most only do the mile time trial. The 800 and 400 require more sprinter-type speed, and obviously would be run at a quicker pace than a mile. Both still require a modicum of aerobic capacity, and all three together can be matched to form a solid idea of your top speed, VO2max, VDOT, whatever you call it. 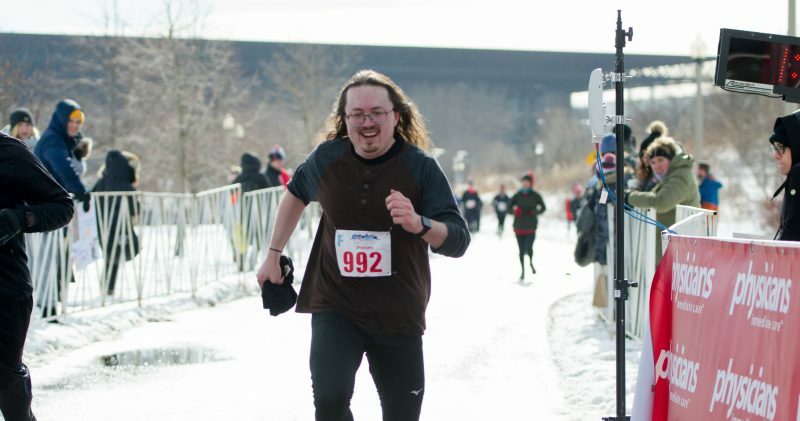 I’d like to do a 5K or two before the end of the year, and I want to get an idea of what pace I’m capable of training for. I can adjust the average of the trials down to a 5K, 10K, whateverK pace, and train intervals at that pace while stretching back out. In Daniels Running Formula, Daniels points to 400, 800 and mile times as a barometer of whether your strength lies in speed or in endurance. Depending on which time is best, it’s possible I have strength in one vs the other, but we’ll see. I’m more interested in seeing overall how much I have improved. Already, off the 800 time alone, I may be capable of smashing my 5K PR by a lot. But, of course, we’ll see. Mostly right now, I’m just thrilled to be running once again.